The Mountaineers teen apprenticeship. Survival camp for teenagers. 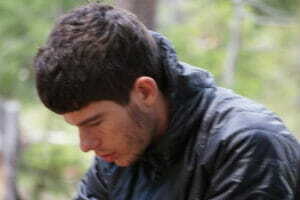 28-Day Survival camp for teens ages, 15-17. Camping backpacking in the rugged mountains of northern California. 28-days of wilderness adventure and back country skills. Explore, learn, create, respect, and appreciate. Survival camp for teenagers is an excellent primer to prepare your son or daughter for the rigors of college living. Contact Mark for an Application before purchasing. READ Registration Policies before purchasing camp. 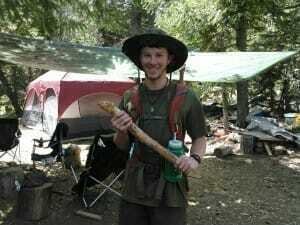 Camping and backpacking in the rugged mountains of northern California. This one-month summer adventure will inspire your teen with confidence, self-reliance, awareness, and increase leadership qualities. Through Mark’s hands-on, experiential training your son or daughter will develop unique and valuable practical skills that will help them face new adventures and experiences with courage, determination, confidence, and strength of character. He or she will be able to apply these modern and primitive survival skills and valuable instruction in future studies and livelihoods. This is one of the richest, most challenging and rewarding adventure your teen will embark on in that complex trail to adulthood. I believe the most profound takeaways I have been given come from the people I was with, Khalil, Chris, Raphael, and Mark. They got me through this camp. Without them, I couldn’t have put so much use to the lessons I learned, and I feel my experience here was no short of magical. I have learned to relax my body and mind. With the power of cold water to put stress and tension on the body, I realized that my own power of will can keep me relaxed and even comfortable. Now I can easily slow down, put my weight back, and relax, allowing me to receive messages and especially awareness and gratitude from the earth.” ~Carter H.
Lincoln D., our 2016 graduate 28-Day Teen Apprenticeship in northern California. I just want you to know that I had a fantastic time up in those mountains. That sweat lodge was something else, man. The dousing at the end felt amazing, as it was the first time I felt the dousing as not stressful, it was actually relaxing the whole way through. 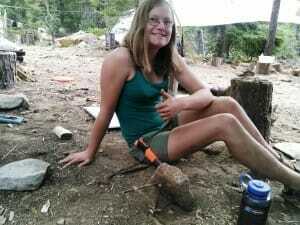 Masha thrived at LWA’s 28-day apprenticeship survival training. “I found the experience of spending a month in the wilderness very internally cleansing. Being away from the city and my daily routine, and instead spending time in such a beautiful environment with caring people, allowed me to slow down and completely let go of all stresses. I lived in the present. Every morning I woke up full of curiosity at what the day would hold, and every evening I fell asleep content. The longer I stayed up there, the more I appreciated the nature around me, and the more I grew to like the simple lifestyle. As I was leaving I found that all my material desires – whether for technology, a warm shower, or certain foods – had disappeared. They were unnecessary, even a burden. I would have been content sleeping on the ground and living off of polenta for the rest of my life. I would definitely recommend this experience to other teenagers with a love for nature and a sense of adventure.” ~Masha F.
“I have never had a happier summer than the one I spent as Mark’s wilderness apprentice. Those few short weeks seem so idyllic now that I can scarcely believe they happened; every morning, I swam in a pristine mountain lake, and during the day I hiked and learned with Mark in the forested hills within sight of Mount Shasta. Every night, we cooked fantastic meals in old-style Dutch ovens and sat by the coals as we watched the stars come out. I recommend this camp to anyone with a sense of adventure and curiosity about the world around them.” ~ Gabe Lewis. Zack, having too much fun. If that’s possible. “Dear Mark, thank you again for having me at the camp. Read Kahili’s article on life lessons learned. Parents: the teen apprenticeship adventure course is a once in a lifetime opportunity for your son or daughter. 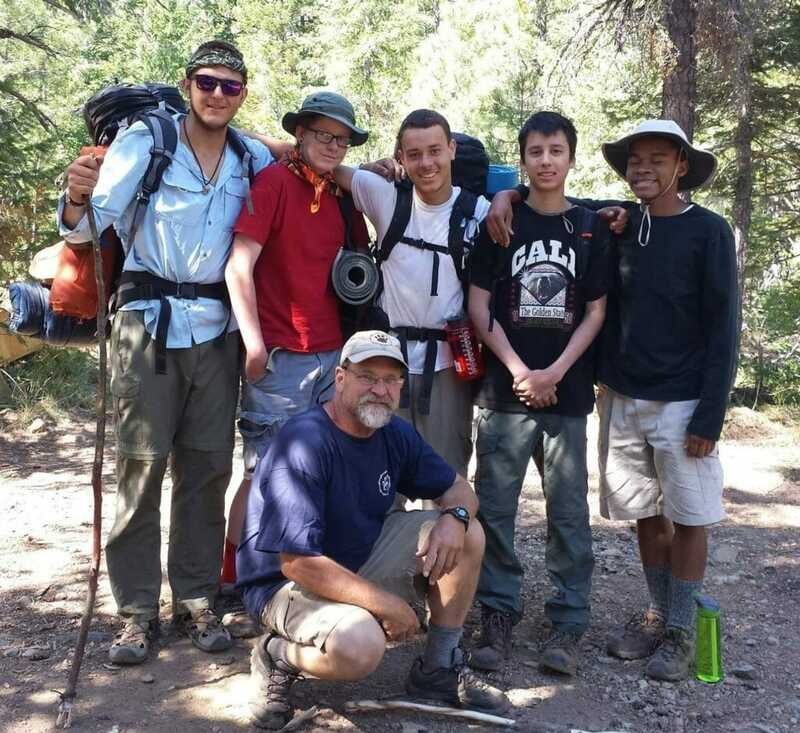 Our teen wilderness 28-day survival training can best be described simply as “awesome!” Contact us for an application today and give the gift that will keep on giving for a lifetime. Transport: round-trip shuttle service from Medford, Oregon airport, $100. Dunsmuir, CA train station, $75.00. Weed CA Greyhound bus station, Free. Survival Camp for Teenagers. Request an application for your teen today.